Travel to Alaska is an adventure in itself. Most people fly into Juneau on Alaska Airlines and continue on to Haines or Skagway by either small commuter plane or on the Alaska Marine Highway ferry. There are no roads connecting the two communities to Juneau. We recommend flying one way and taking the ferry the other. Both are spectacular ways to experience Lynn Canal, which is North America’s longest glacial fjord. For cruise ship passengers, please consult your itinerary to see if you visit Skagway or Haines for one of our day tours (there is ferry service between the two towns). Alaska Air is the main airline servicing Alaska. Flights depart daily from Seattle, and are either direct or make multiple stops in Southeast Alaska (commonly known as the "milk run"). Wings of Alaska offers daily flights from Juneau to Haines and Skagway. Every trip from Juneau is like a 45-minute flightseeing excursion along beautiful Lynn Canal - North America's longest fjord. The short flight between Haines and Skagway is just 15 minutes. 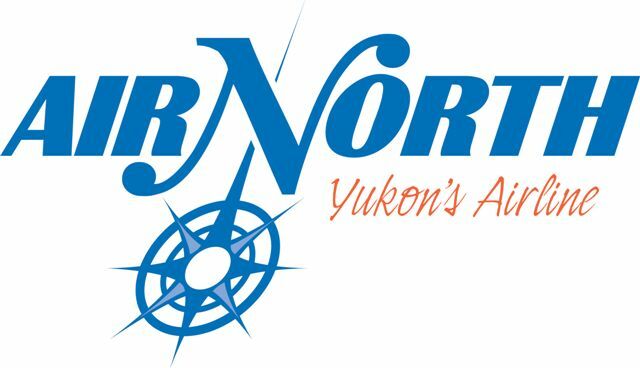 Air North offers an alternative way of flying into Alaska for travelers arriving from Canada. There are daily flights from Vancouver,BC to Whitehorse, YT where we can arrange a pickup for you. Haines lies on the coast 90 sea miles north of Juneau and 14 miles south of Skagway. Passengers arrive via cruise ship, private boats or charters, or via passenger ferry. Please see the two websites below for more information on the ferries. Alaska Marine Highway Ferry System -- Passenger and vehicle ferries connecting Haines, Skagway and Juneau with other southeastern communities, in addition to British Columbia and Washington. 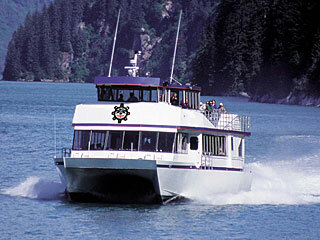 (Ferry system owned and operated by the State of Alaska.) Ferry trips are 2 1/2 to 4 1/2 hours depending on the ship. Haines-Skagway Fast Ferry - Privately owned high speed passenger ferry service between Haines and Skagway. Up to 6 crossings per day, 35 minutes each way. Driving to either Haines or Skagway is one of the most spectacular drives in North America. High mountain peaks, glaciers, rivers and lakes line the roads. Both town connect to the Alaskan-Canadian Highway (ALCAN) via either the Haines Highway or Klondike Highway. Highways are paved and maintained year-round.